GOT7's JB presented his self-composed song to J.Y. Park. On the April 20 airing of KBS' 'Hyena on the Keyboard', JB nervously revealed his new track to J.Y. Park. JB explained there are no lyrics to the song yet and only the melody is complete. J.Y. Park attentively listened to the song, while JB waited anxiously. After listening to the track, J.Y. Park said, "I think it's great," making JB extremely happy. J.Y. Park explained how it's similar to the songs he composed, and complimented JB. 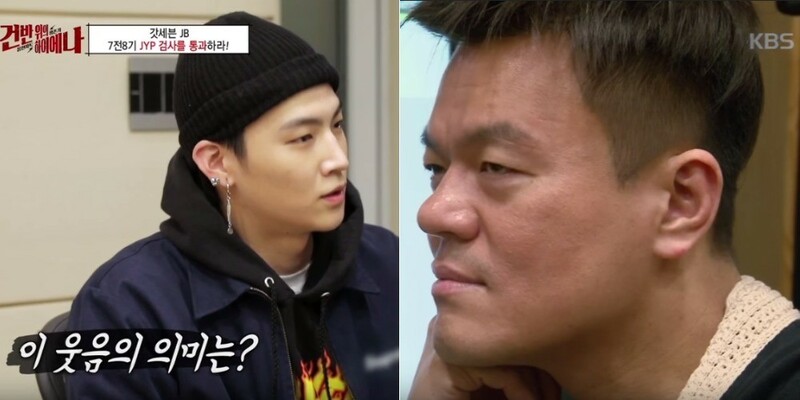 Watch JB's nervewracking moment with J.Y. Park in the clip below.